What Are The Great Health Benefits Of Consuming Marijuana? What Are The Great Benefits Of Consuming Marijuana? Cutting off drugs once and for good and switch to the organic supply. Medicine can really mess up internal organs after years of taking medicine. Marijuana has helped many cancer patients, HIV patients, epilepsy patients, and many more. Helps relieve nausea and vomiting and increase appetite in people with cancer. Allows patients to eat, to gain strength and nourishment. Some cancer patients can seem to keep the weight on and need a boost their appetite. Stops nausea and vomiting. Marijuana slows down and kills cancer cells. It stops HIV from spreading. *Western governments have known this for a long time yet they continued to suppress the information so that cannabis prohibition and the profits generated by the drug industry proliferated. HC found in marijuana works to prevent Alzheimer’s by blocking the deposits in the brain that cause the disease. 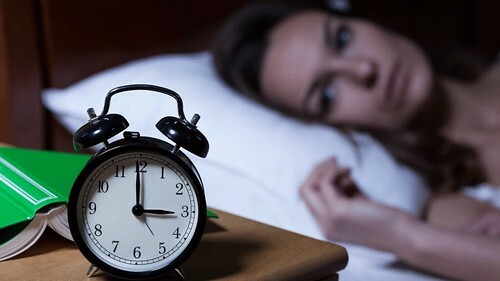 In addition to the reported effects of relaxation and pain reduction, many users of medicinal cannabis also use the substance as a means to relieve anxiety and certain sleep disorders such as insomnia. It sure helps to relieve pain and sleep. No more sleepless nights, start going to bed on time. Doctors in California have been able to treat more than 300,000 cases of migraines with medical marijuana. 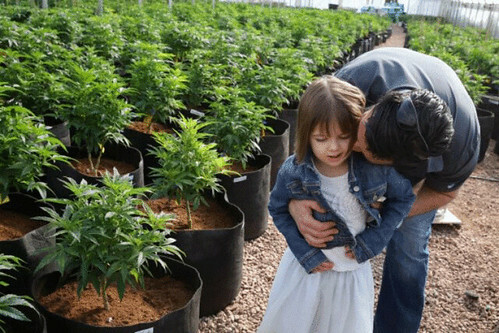 Children that suffer from autism drastically improved after consuming cannabis oil. It can treat turrets and epilepsy seizures. Check out Charlottes Case. The marijuana movement is really making a difference in peoples’ lives. 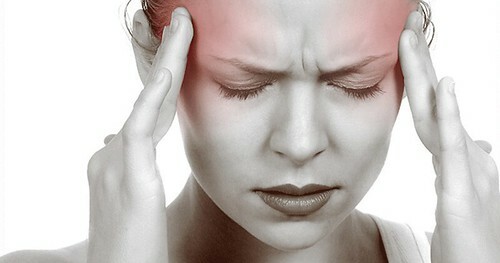 Neurological damage such as concussions and strokes. Marijuana also assists those that suffer from Post Traumatic Stress Disorder PTSD and suffer from depression. There are many ways to consume cannabis without puffing a joint or lighting up a bong. There are ways to keep your cannabis on without the danky smell or puffing smoke in your lungs. 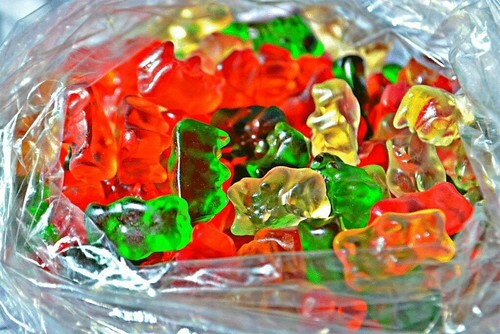 Click here for ways to consume cannabis products. When baking your cannabis-infused edibles, try this great Cannabis Butter recipe. How to make cannabis butter? Learn these 8 simple steps. Typically, it is called the “extraction technique”. Since the THC is first extracted from the cannabis and then infused with the butter. The stronger the bud the higher the THC potency. To learn how to properly measure the THC dosage in your edibles scroll down to the dosage chart. Keep in mind the organic the weed is the better. It’s very important to keep it organic premium ingredients. Always cook at low temperature. Never let it come to a boil. Avoid burning the dried cannabis herbs. ½ ounce of dried and ground cannabis buds, or 1 ounces of dried and ground cannabis leaf trim. Both options should be decarboxylated. While the cannabis butter is cooking prep your strainer and glass or heat resistant bowl to strain the mixture when it’s finished cooking. Line your strainer or sieve with a double layer of cheesecloth and place the strainer over your bowl. Once the butter is finished cooking strain the marijuana butter slowly by pouring it through the strainer and cheesecloth into the bowl, careful not to spill. Once your pan is empty, pick up the cheesecloth from all four sides and squeeze out all of the remaining butter into the bowl. You can also use a spatula to gently press down on the cheesecloth in the strainer to help extract all the cannabis butter. Next, allow to cool on its own and then cover the bowl with a plastic wrap and place it into the fridge until the butter has separated from the water and risen to the top. The butter will be solidified on top of the water below, (generally allow to cool at least 2-3 hours, or even overnight). The THC will now have been extracted and attached to the butter. Remove the bowl from the refrigerator and discard the water. Slide a knife around the edges and lift the cannabis butter out of the bowl. Place upside down on your work surface and scrape off any remaining cooking water. Your cannabis butter is now ready for use! Finally, transfer your cannabis butter into a glass jar for storage in the fridge. Now, you’re ready to Bake Your Cannabis Brownies with your cannabis butter. Click here to See How To Store Your Cannabis Butter. How Much Weed Can You Carry In California? Now that the marijuana laws have changed in California, how much marijuana is considered legal to carry? Yes, we are all stoked now that marijuana is legalized for sale and use without a medical recommendation! Rules have changed but the laws are still strict when it comes to carrying and consuming marijuana. Although it is legal to buy, it is still considered a federal crime to carry marijuana in your car. The legal way to travel with your medical or recreational marijuana is by simply leaving in the back of your trunk. Just like alcohol, if you are caught driving with it, it is considered as an open container, and at that point, police are able to search and seize your marijuana. Since the very beginning when medical marijuana was legalized in the 90s this rule has never changed: Never open the bag of marijuana merchandise in your car until you have gotten to your destination (your home). By law, medicinal marijuana stores have always closed the bag with a staple just to make sure there is no tampering while you are driving. Same rules will apply to recreational marijuana in California. Under Proposition 215 (California’s Compassionate Use Act), patients are entitled to whichever amount of cannabis products are necessary for personal use. This specific proposition covers cannabis possession and cultivation for personal medical usage. However, you can get arrested if you exceed the reasonable weed possession, it’s possible to be cited or fined for not following California’s local laws. Don’t get your laws twisted and learn the driving with marijuana in the state of California. It is no joke, there are ads and commercials over the radio playing over and over again the consequences of driving high. This is obviously a concern to Law Enforcement because they have to make the decision to book someone for driving high. But how can law enforcement test anyone for THC (Tetrahydrocannabinol) levels or CBD Cannabidiol levels? It’s impossible! This is not to take lightly though, law enforcement does not take it easy now that the laws have changed. Minimizing wreckless driving out in the streets is the main reason why they have implemented these rules. If caught high you will be booked for DUI (Driving under the influence) no doubt about it. Experts are still trying to come up with a solid way to measure current cannabis impairment. In the meantime, if an officer sees signs of impaired driving, and a blood test shows you have cannabis in your system, you can be charged with driving under the influence. 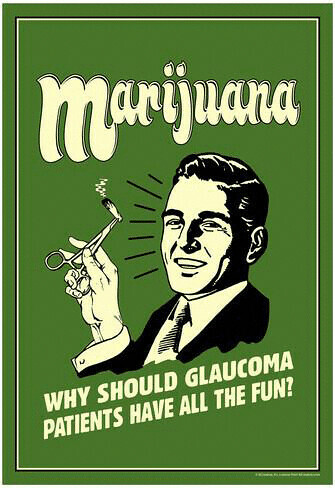 Here is an example of campaigns that are spreading awareness of being high off of marijuana is still punishable by law. Start getting used to these advertisements on billboards and commercial breaks. Filed Under: Blog Tagged With: California, Carry Marijuana, How much marijuana Can I carry, How Much Weed Can You Carry In California? For those that are trying to get a license, to sell recreational marijuana have to wait till mid-January, according to L.A. officials. Yes, the sales of marijuana are already legal, but the eager weed entrepreneurs will have to wait to apply for a license til Jan 3. It might take up to mid-Jan for the temporary licenses to be approved for adults of the age of 21 an over to legally buy.The Los Angeles Department expects a load of license applications waiting to be approved. I mean you cant avoid entrepreneurs to miss out on this great opportunity. The revenue in one year has projected a minimum of $20,000 million (talk about the American Dream). “Los Angeles has been described as one of the largest cannabis markets in the world”, said Cat Parker, director of cannabis regulation. There are about 200 businesses that are lining up in Los Angeles alone to get approved in January. She states that the new regulations will have harsher punishments if rules are broken. Stores need to be responsible when it comes to taking care of their business regulations or else they will be subject to administrative actions by the department, that includes their license removal.The stores that are operating with no license to sell will be hammered with a 20,000 fine each day. In addition, cutting off their lights and utilities off. There are many questions about the regulations now that the use of recreational marijuana is legal. There is lots of concern of where people can smoke pot, and unwanted marijuana exposure. The rules will stay the same, the pot smoking in public will not be allowed. Everyone wants to get in on the action, but if being responsible has to wait then that is what Los Angeles is going to do. They need to make sure all rules and regulations are set before the sale of recreational marijuana starts this month. Other cities like Santa Ana opened up 17 stores that are licensed to sell recreational marijuana. Marijuana Entrepreneurs are Ready To Start Selling The Goods! The Hollywood Sign Switched To Hollyweed! In 2017 we had the ultimate prank that almost all Los Angeles was able to see. As Los Angeles residents awoke on New Year’s Day to find the Hollywood sign altered from Hollywood to “Hollyweed”. The pranksters used giant tarps to turn the great iconic sign’s 2 O’s into E’s, sometime during the night. This prank was more likely done to mark the electoral success back in November of Proposition 64, that legalized the use of recreational use of marijuana in the state of California. The prank was spotted and reported to the police department that patrols Griffith Park and the Hollywood Hills. Did They Get in trouble? The perpetrator got away. The nearby security cameras captured the vandal dressed in all black. The person had to go over the big protective fence surrounding the sign, then put drape coverings over each letter. This is a big no no in the eyes of the law, because it is considered trespassing. Many hikers and tourists in the Griffith Park area spent that morning taking pictures of themselves in right in front of the altered sign, before the park rangers took the tarps. This prank had been done January 1, 1976, the very same day California’s relaxed marijuana law took effect. Coming into the New Year of 2018, the sale of recreational marijuana will be legalized in the state of California. Now that the New Year is here, any person over the age of 21 is allowed to buy and consume cannabis products. How great is that? There will be much more leniency when it comes to carrying marijuana products and the consumption of marijuana. Now, we don’t have to consider flying all the way to Amsterdam to get your marijuana fix. To see if your state has already legalized the use of recreational or medicinal marijuana click here.